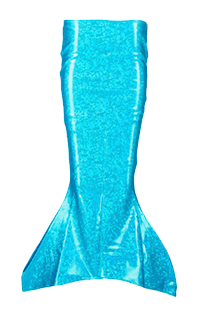 Just like the fascinating natural light display glowing high in the Earth’s atmosphere, our Northern Lights mermaid tail design sets the stage for magical moments! 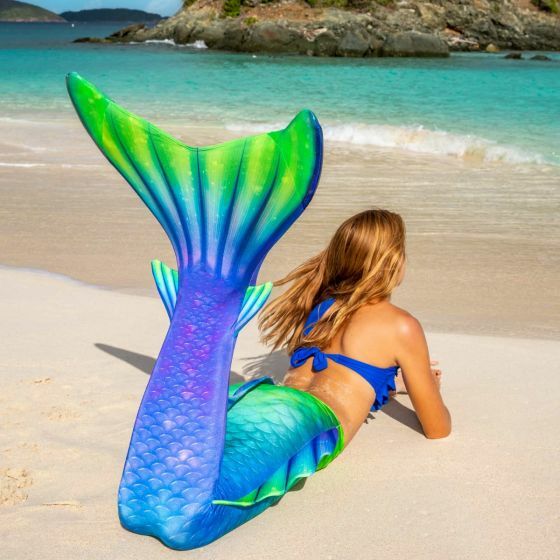 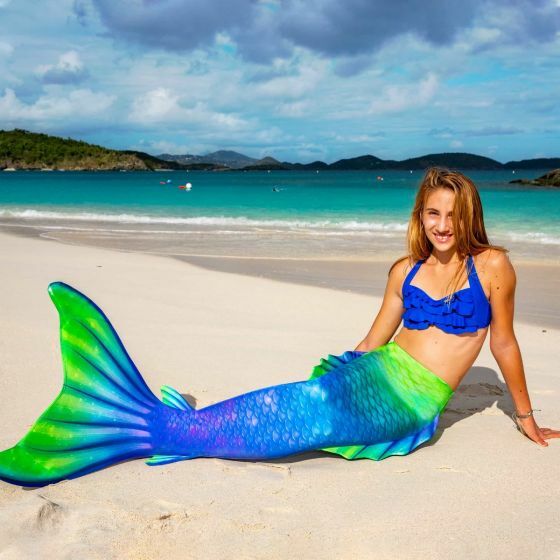 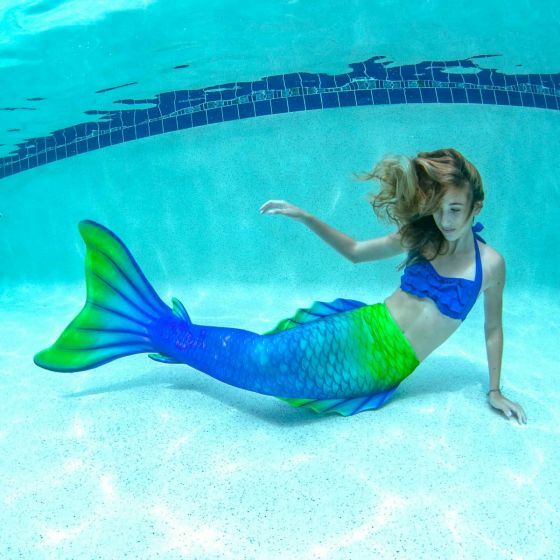 Featuring vibrant hues of heavenly blues, gorgeous greens, and pleasing purples with scales that shift in a gradient design from tail top to fluke, this swimmable mermaid tail for adults is what dreams are made of! 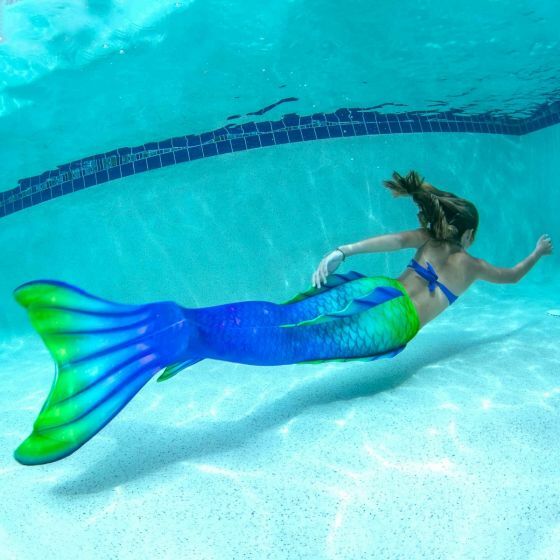 Look for the ethereal light spheres floating within the fluke, side and back fins that bring this phenomenal design full circle.